Trophy Bikes is an independent bike shop located on 2nd Street in Northern Liberties. They specialize in touring, commuter, and folding bikes. They are Philly’s largest Surly dealer and the area’s Brompton dealer! Our favorite part about Trophy is the service manager: he’s my husband and a Kidical Mass dad! For the families out there looking to get into bike camping or touring, this is the shop for you. Trophy offers free fix-a-flat classes, check here. the strider race that Trophy put on in Liberty Lands park! On the day of the event, Trophy will be represented with stickers and maybe a prize! Philly Pedals is a team of awesome bicyclists from Philly, working to promote a centralized community for all types of biking. They have a blog, an events calendar, and ongoing interviews and articles ranging from the Philly Pumptrack to mountain biking to commuting. We especially love Philly Pedals because their publisher and creative director are founding Kidical Mass parents! 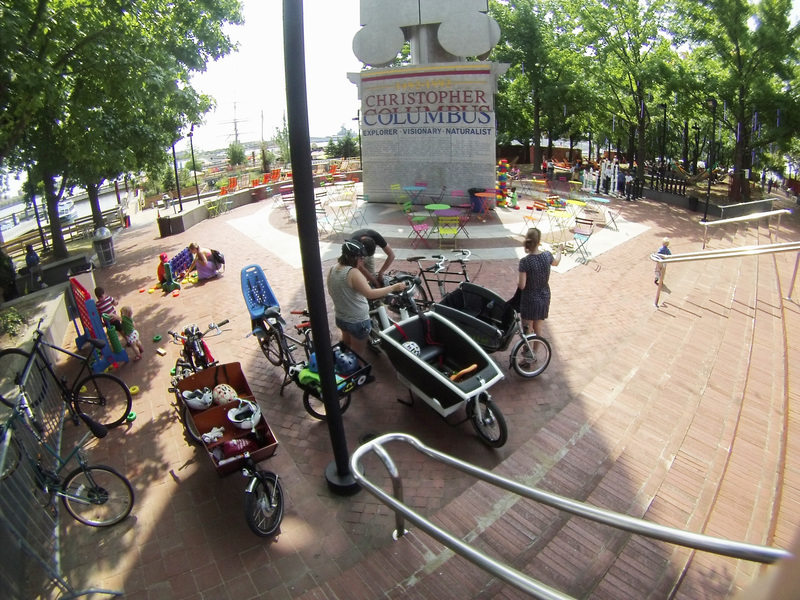 Click the photo for some Philly Pedals articles by our own Kidical Mass organizer, Dena Driscoll! Philly Pedals is active on Facebook, Twitter, and Instagram! They have held a few Instagram/Twitter contests which always lead to beautiful photos of all different types of cyclists around the Philly area! Their hashtag, #phillypedals, has quite the awesome feed! On the day of the event, Philly Pedals will have some stickers and some cute kids to keep us company! Nutcase Helmets has signed on as one of our sponsors for the ABCs of Family Biking, September 2014 Edition! We are so grateful to Nutcase, as they have a history of supporting family biking in Philadelphia. Last year, at the Philadelphia Bike Expo ride, Lisa came out to meet us before the ride and handed out snacks and goodies. It was a perfect addition and personal touch that really meant a lot to us. One of our kids won a Nutcase helmet during the Expo for one of their giveaways! 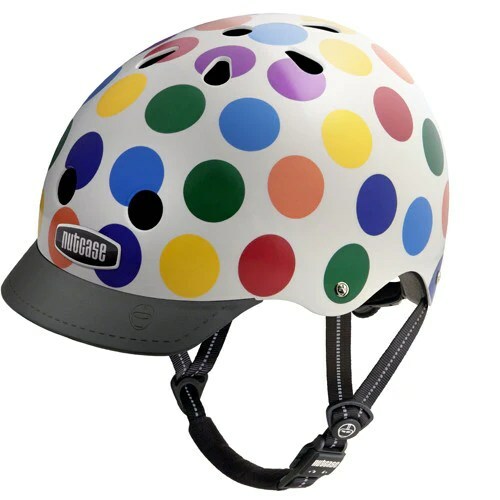 Why do we love Nutcase helmets? There is NEVER any risk of pinching your kid’s sensitive chin skin with the buckle of the strap! The buckle is a magnet, which means your kid can learn how to buckle themselves at an early age, which means independence and freeing mom/dad up to other tasks to get out the door! With two sets of padded inserts for maximum comfort through different stages, you can customize the helmet to your kids’ head. Once you dial in the padding (we recommend going to your local bike shop and having a pro fit your kid), you can adjust the dial in the back. Again, it’s an easy, on-the-head adjustment that is quick and painless. The result is a low fit on your kids’ forehead with maximum protection. The earflaps (sold separately) slide into the helmet and take the place of a hat. They keep your kids’ ears warm and protected from the wind, while still allowing a healthy air flow for exercise during cold weather. The pads are super soft. 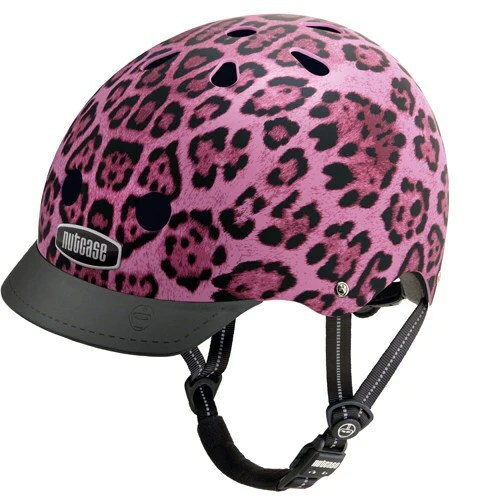 There are such cute prints and designs on these helmets, with something to suit every style! Thank you, Nutcase, for your continued support of family biking in Philly. You rock!